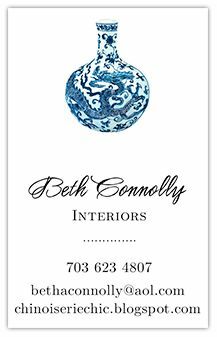 Have you seen the latest issue of House Beautiful on decorating with green? It's wonderful. 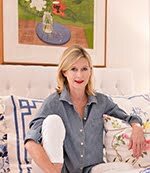 With spring around the corner, we will be doing an upcoming series here on Chinoiserie Chic on green and Chinoiserie. 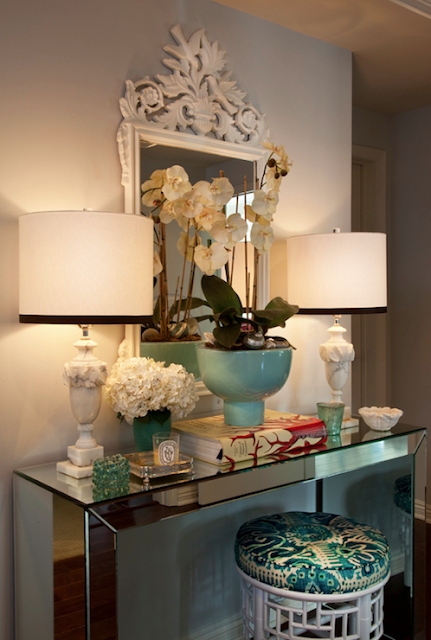 I love the green and white vignette above with a beautiful pair of white alabaster lamps. 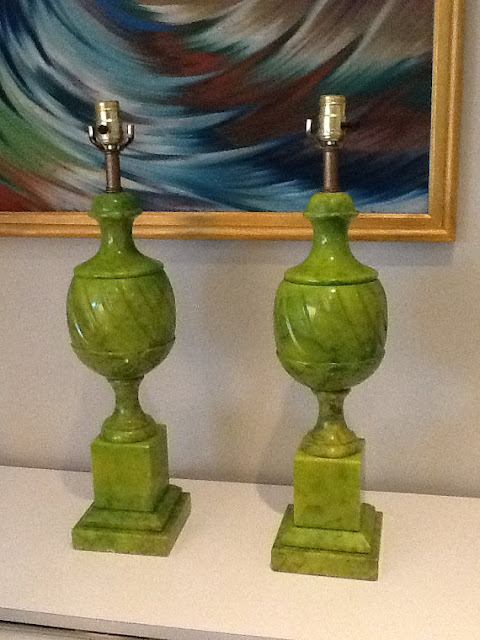 Check out the drop dead gorgeous pair of green alabaster lamps at LIV Vintage below for $425. 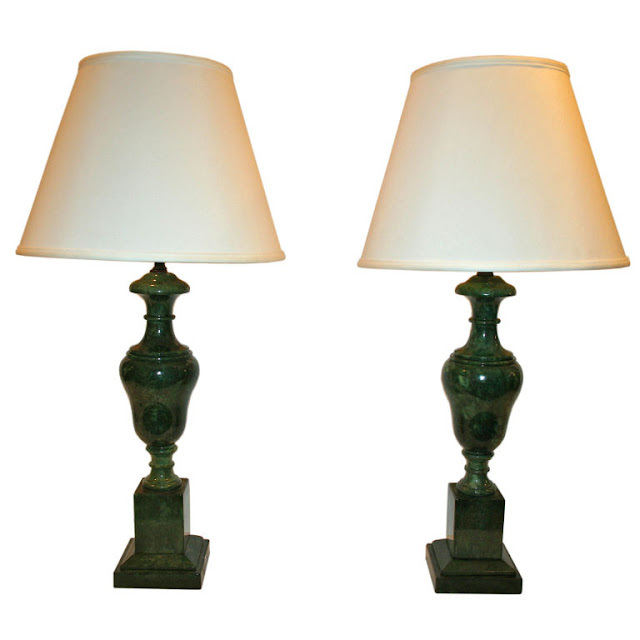 The two pairs at bottom of green alabaster lamps at 1st dibs are $3800 and $5625 and the prettiest are the LIV Vintage! Absolutely beautiful entry foyer dahhling! 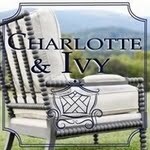 I LOVE that green pair from Liv Vintage!!! Wish I had a spot for them TODAY!!!! I have carved a sculpted piece out of alabaster, and I can tell you that it is very time consuming and messy! I certainly appreciated these pieces. Just beautiful. I have a lovely alabaster lamp in white. I've never seen the green but is my favorite color and I cannot keep my eyes off the latest issue of HB! 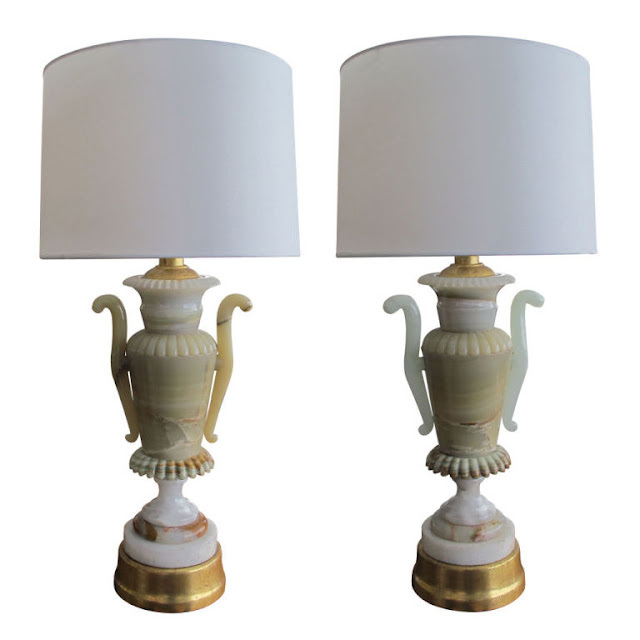 I love the alabaster and marble lamps. Such a classic material...and classic shapes.